Since 1761, stained glass has been a Watkins family tradition. The history begins in England where family members made stained glass windows in London and Liverpool. Eight generations of Watkins men have devoted their lives to stained glass. 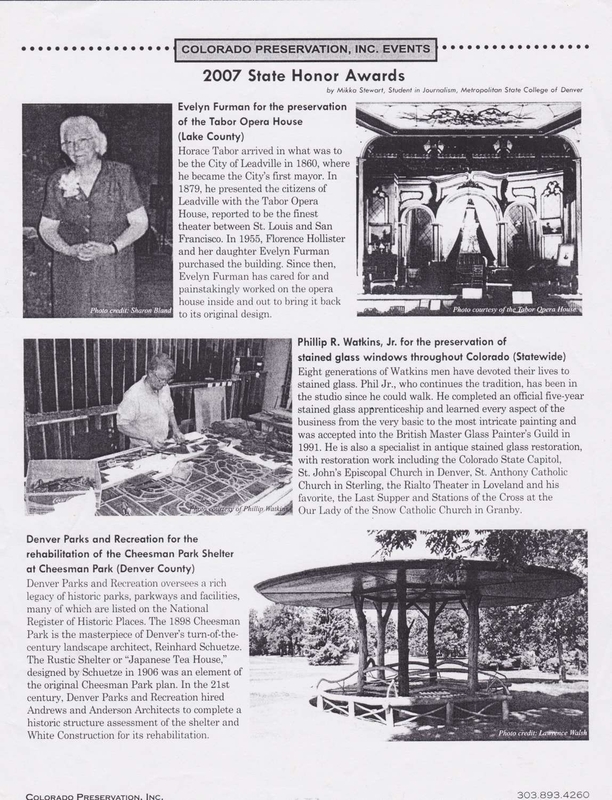 Four generations of Watkins men have devoted their lives to stained glass and beautifying the Rocky Mountain area since the arrival of Clarence (Charles was his given name but preferred the use the nick name Clarence). He traveled to America via ship with his toolbox in hand and skills he had learned from his forefathers. 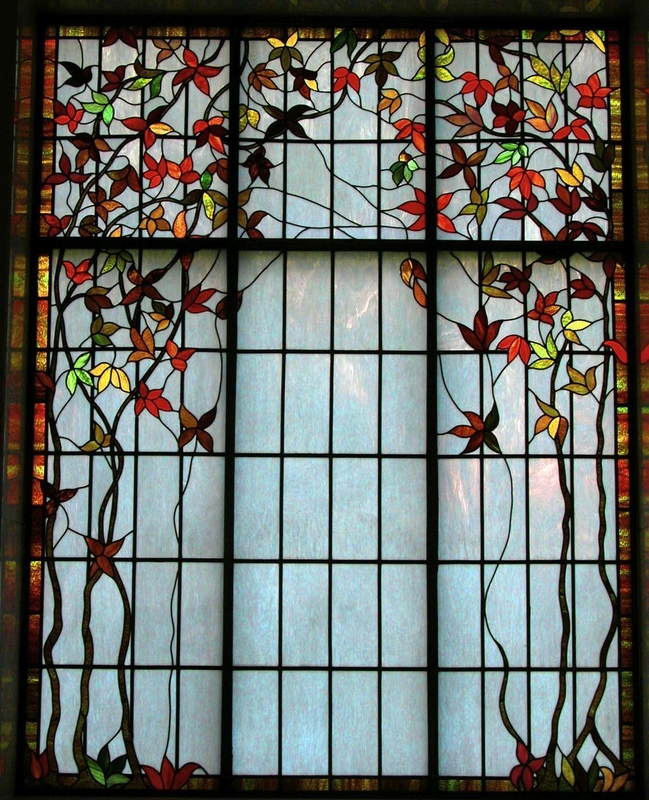 After arriving in the United States, he worked for the finest stained glass studies in New York, Boston and St. Louis. His paths kept heading him in a westward direction and in 1868, he left St. Joseph, Missouri in a covered wagon loaded with stained glass, supplies and tools, destined for Denver, Colorado. 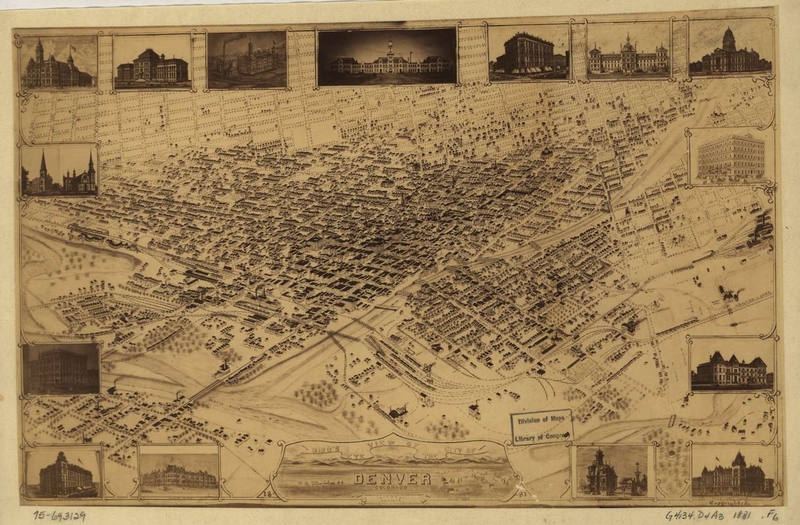 He soon set up shop and had a stained glass listing in the Denver Directory in 1881. 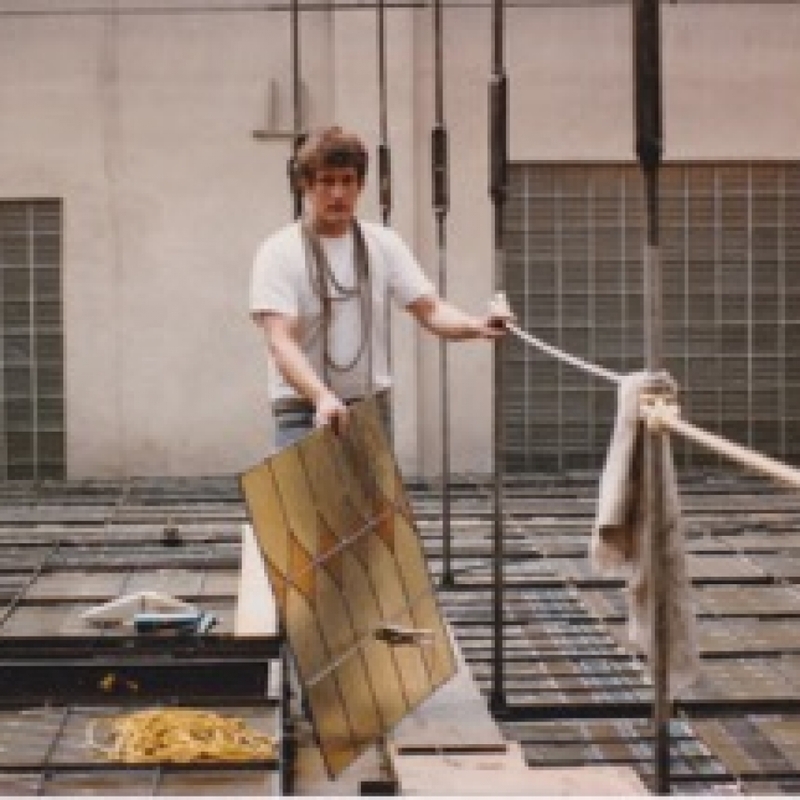 As Denver began to grow, he was then busy making stained glass windows for churches, mansions and businesses such as the Brown Palace, where he designed and fabricated the beautiful, famous stained glass skylight. He became a very respected businessman, and his very traditional old-world style of stained glass was very popular in the mansions and grand churches. His son, Frank, followed Clarence in the art. 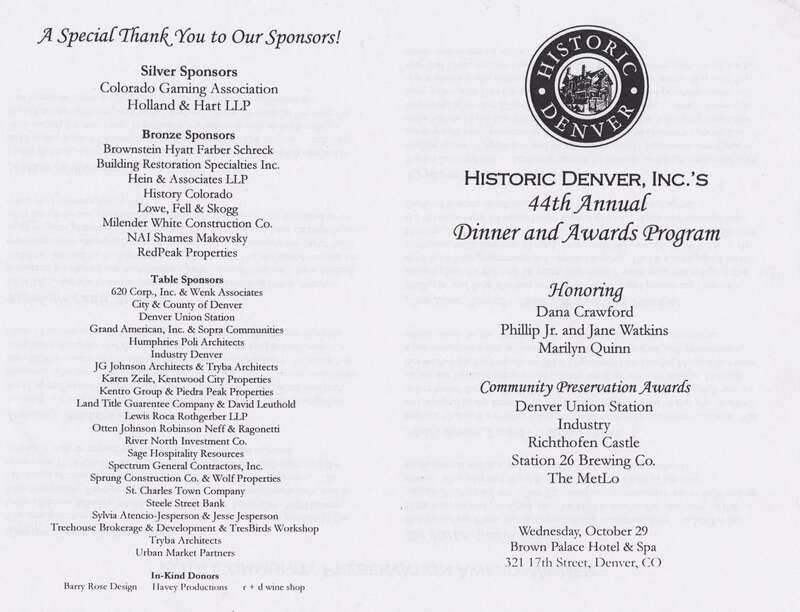 Frank began his apprenticeship in Denver in 1902. 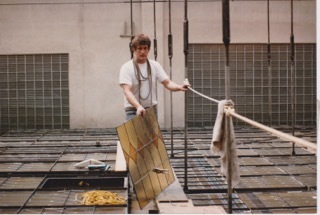 Several years later he was working on his own in stained glass. His son, Phil, remembers going into his father’s studio in the 1920’s and seeing hundreds of windows, all framed, and stacked up to the ceiling. The contractors would come in on Saturday to buy them up. These windows would be placed in the majority of the homes, even the bungalows, built during that time. Much of his time was spent working on windows for scores of churches and he became well acquainted with Denver’s Archbishops and clergy; he especially enjoyed the Friday evening card games, just as Clarence had before him. He rode the stained glass boom until the depression. During these lean years he would help struggling churches by repairing their stained glass windows at no cost. 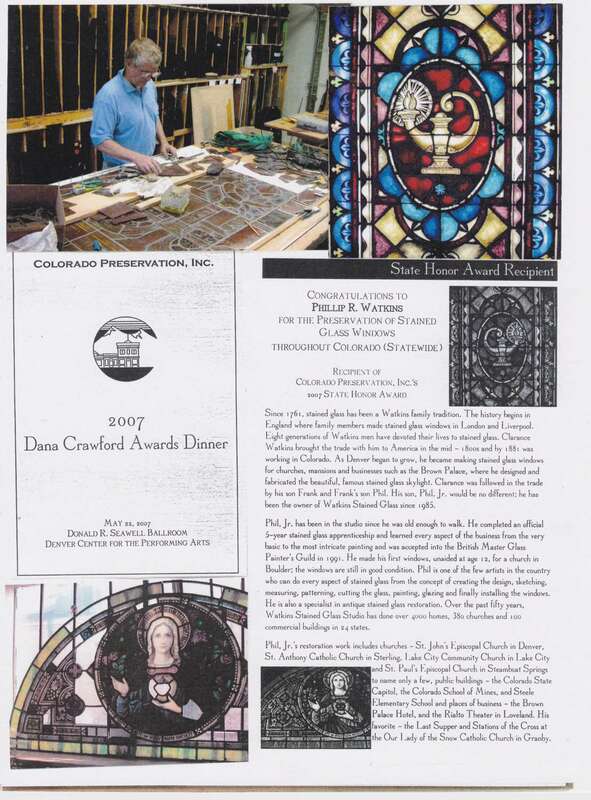 Frank’s son, Phil was the next family member to make his living creating stained glass windows in Denver. The business was interrupted during World War II due to the unavailability of lead. Phil spent his war years as a fighter pilot. After the war he and his father worked “together” at different companies until Phil opened his own studio in Englewood in 1957, when again stained glass was becoming very popular. He worked steadily for thirty five years during Denver’s big growth boom producing many thousand beautiful stained glass works of art. Phil Jr. is the latest member to carry on the Watkins Stained Glass tradition. He has been the owner of Watkins Stained Glass since 1985. Phil has been in the studio since he was old enough to walk. He completed an official 5-year stained glass apprenticeship and learned every aspect of the business from the very basic to the most intricate painting and was accepted into the British Master Glass Painter’s Guild in 1991. He made his first windows, unaided at age 12, for a church in Boulder; the windows are still in good condition. Phil is one of the few artists in the country who can do every aspect of stained glass from the concept of creating the design, sketching, measuring, patterning, cutting the glass, painting, glazing and finally installing the windows. In the larger studios everyone is specialized to a certain aspect of the craft. Phil, however, has the ability to do each aspect of the craft as well as those who specialize in the area. He is also a specialist in antique stained glass restoration. 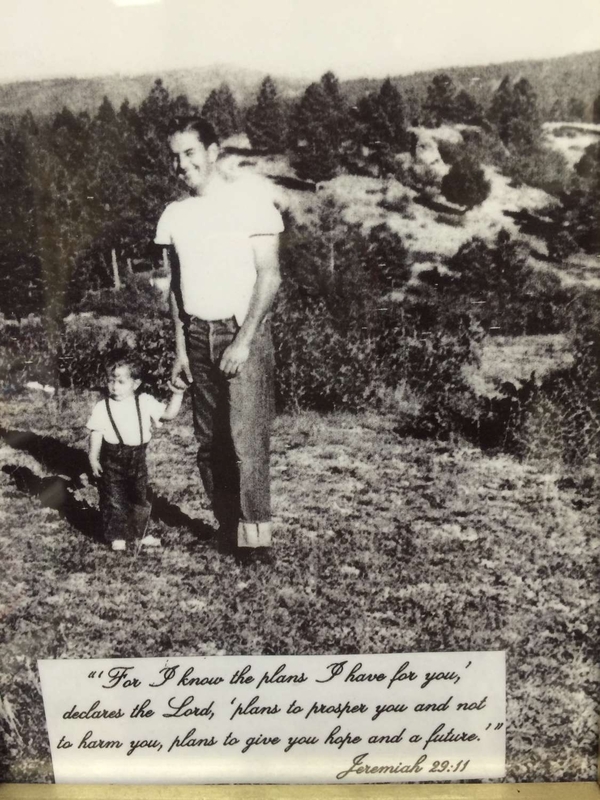 Phil was offered a position in England, to work in the English Cathedrals for the rest of his life, but declined and prefers to stay living in Colorado and continuing the family legacy. Over the past fifty years, Watkins Stained Glass Studio has done over 4000 homes, 380 churches and 100 commercial buildings in 24 states. They are honored to be internationally recognized and proud of their fine reputation as Colorado’s oldest, finest and the most respected stained glass studio in the Rocky Mountain area. The methods of making stained glass windows have been passed down through the family for at least eight consecutive generations. Each stained glass artist learned the techniques from his elder relative and the “family secrets” of the medieval stained glass craft are thus preserved and passed down from one generation to the next. All of the work is still done by hand and neither the principles nor the tools, except for electricity, have changed much since the first Watkins artists were making their stained glass windows in England during the mid 1700’s. Frank, Phil and Phil, Jr. all began working in the stained glass studio around seven years old as sweepers. They graduated to cementers, cutters and upward until receiving college degrees in art; it was not until this time and after their apprenticeships, that they became highly skilled, full master craftsmen. There are differences in the artistic visions of each man as they respond to the trends of the time but the craftsmanship remains the same from Clarence to Phil, Jr. The time-tested old tradition of stained glass has also remained the same, although businesses and technology have changed the world around them. The growing popularity of stained glass has attracted many amateurs and hobbyist the art and the lack of apprenticeship has changed the quality of the craft. During the depression years and after the war, many of the “old masters” retired, and sadly their knowledge and techniques retired with them. The Watkins family uses no compromises or shortcuts and to this day, their craft of the “old masters” remains. Phil Sr. & Phil Jr.